How soon is too soon to visit classrooms? Maybe that is the wrong question. 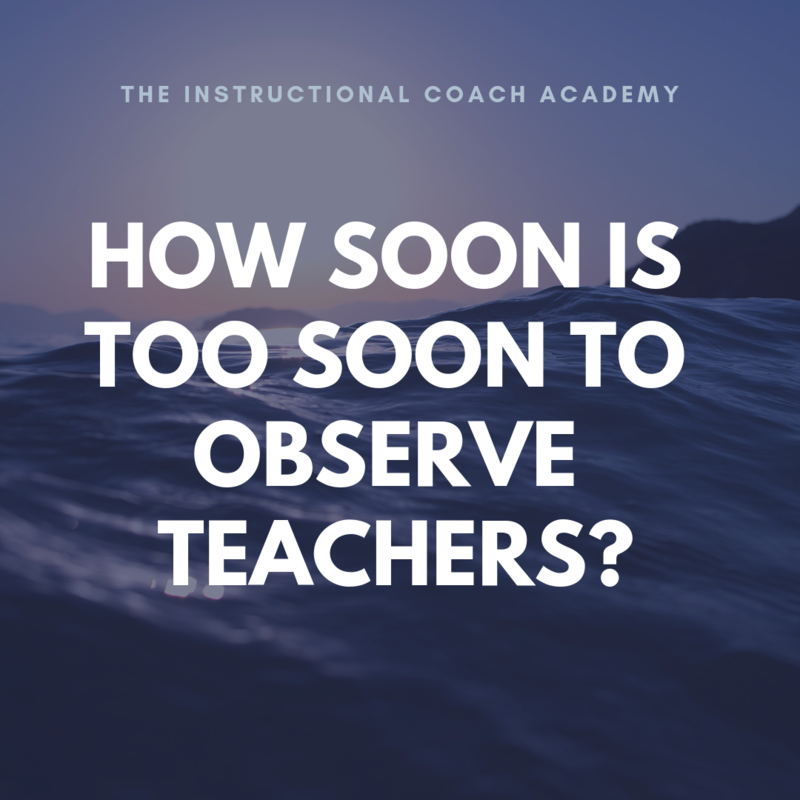 How soon is too soon to start observing teachers and providing feedback? This is my struggle. Of course, as a coach, I want to get into classrooms as soon as possible. But I am fearful. If I push too hard, I run the risk of damaging the relationships my job requires. The start of the year is an overwhelming, busy, stressful experience and it takes time to establish a routine. Teachers are skittish and visiting too soon can seem pushy. For insecure teachers or in schools with a poor culture, it can seem like the ultimate gotcha. Then there are the schools where 1st week, five-minute visits are the only time anyone comes into classrooms. As you can see, most of us have a lot of baggage from bad experiences when it comes to classroom visits. Even the terminology is problematic. ‘Observation’ has a connotation of formality and evaluation. And ‘walk-through’ was always a junk term. ‘Learning walk’ can be better depending on the implementation though it doesn’t really mean anything to most teachers. Like, who is learning? The walker or the teacher or the students? I try to say “visit”or pop-in”…and I am still not satisfied with those either. Anyway, how soon is too soon? If I wait too long, a whole different set of problems can arise. Teachers won’t find me visible and will wonder what exactly I do all day. Administrators will want immediate data I won’t have yet. I run the risk of allowing questionable practices to go unchecked and allow my staff to feel complacent. Teachers are myopic. If it seems to be working from their own perspective, and I am not there to offer another, they are too busy to dig deeper to improve. Teachers hate feeling judged. This is cultural–societal. We are everyone’s favorite scapegoat and most convenient target. We also push and punish ourselves for factors well beyond our control. The thought of another teacher being sanctioned to judge our teaching is unlikely to be eagerly anticipated. So I keep wondering: How soon is too soon? My current compromise isn’t ideal and I hope time will help me develop more strategic ways to handle this question. For now, I simply pop-in to offer assistance and ask how things are going for each teacher. I don’t sit down or hang around unless I am asked to help. I don’t take notes or send feedback or do any of the anxiety triggering things that set teachers off. Week three, all that must change. Two weeks is enough to get it together. The start of the year excuses centered around teaching rules and establishing routines have mostly expired. Students and teachers are easing from the first date to honeymoon and the instructional patterns set now will likely echo across the school year. 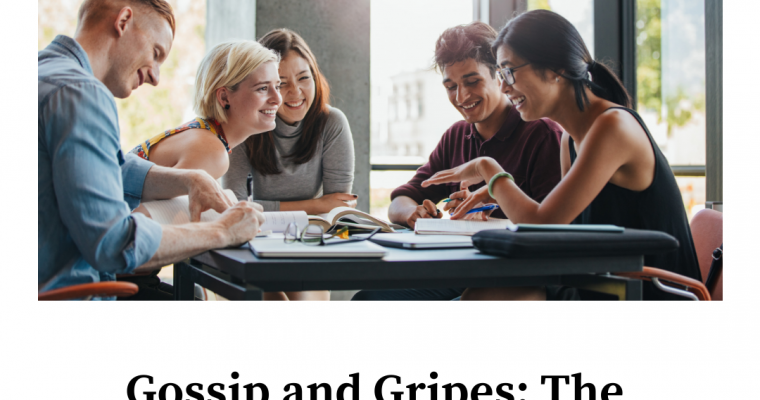 Out comes the note-taking, questioning, feedback, and formal conversations. Well, for most teachers. A few will need an extra week or two, or perhaps another tactic. I don’t know the answer, but I constantly wonder: How soon is too soon to visit classrooms? It is vitally important to have systems to manage coaching tasks effectively. Every coach needs systems to give teachers feedback. Without systems in place, coaches can easily become overwhelmed by other tasks and lose track of observations, feedback, and coaching conversations. Coaches also need tools to manage the paperwork needed to track coaching activities. Keep private notes about each teacher and how best to communicate with them. 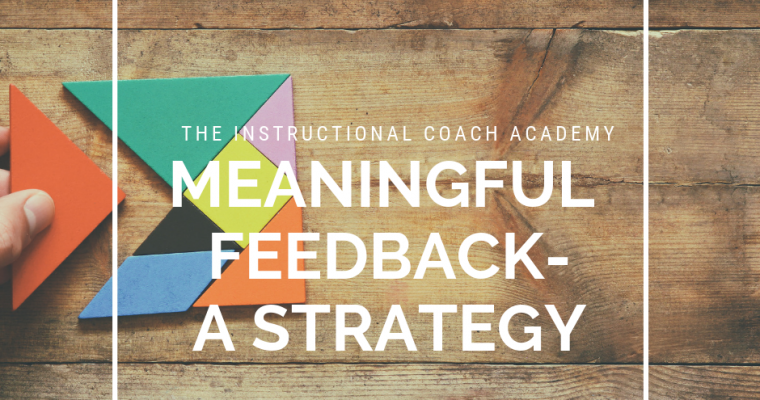 Develop a coaching plan collaboratively with each teacher that can guide your feedback. Create a simple, consistent format for taking notes while observing. Provide descriptive feedback to teachers in a timely fashion. Use a system to track observations, notes, and coaching conversations. Document everything with minimal time and effort. Finding a system that works for you to manage coaching tasks can be challenging. Fortunately, Google Tools provides numerous time-saving opportunities. Google Docs: For note-taking and collaborating, Google Docs is incredibly valuable. I can create a Doc to keep detailed private notes. Also, a teacher and I can collaborate to complete a coaching plan template we can both access. I then have a record of any added information and can always retrieve deleted information. In addition, I can access and edit my Docs on any internet-capable device. Google Drive: Drive is the folder structure for all my Google creations. By intentionally creating nesting folders and naming things clearly, I can easily organize my materials. Folders also give me an added layer of control over who can view, comment on, or edit various documents. Google Forms: Observation forms tend to range from ridiculous to cumbersome to downright useless. Forms allow a coach to create a customized format for consistently collecting specific information and recording descriptive feedback for teachers. As with Google Docs, Forms gives me significant control and easy access. Google Sheets: Compiling information is both important and potentially tedious. Too often, coaches spend much of their limited time generating records of the work they do. Sheets provide opportunities for coaches to create systems to give teachers feedback and conduct record-keeping activities easily. When a Form is made, the coach can automatically generate a Sheet of all submissions that can be manipulated for data analysis purposes. Certify’em: Certify’em is an add-on for Google Forms that has been a life-saver for me. I have written about it in more detail here. This add-on automatically generates certificates for submissions and emails them to each person who completes the form. 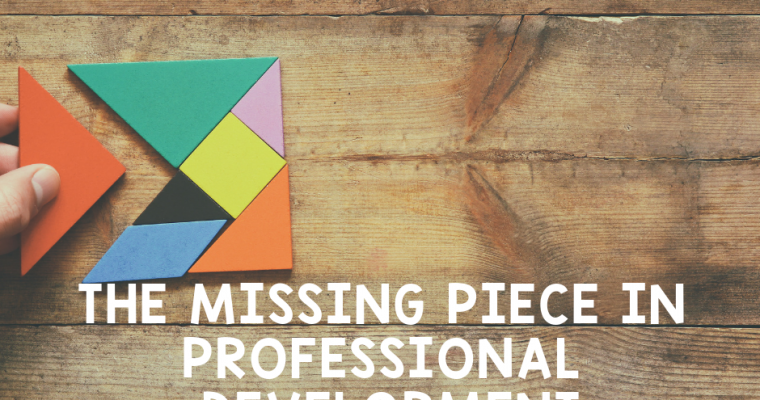 Gone are the days of creating certificates so teachers have documentation of their PD hours. This handy little system automates the whole process AND creates a spreadsheet for the coach’s records. Simply Send: Simply Send is another add-on for Google Forms that is a game changer. This add-on will generate a PDF of answers submitted on a form and email them to whomever the creator designates. I have the PDF sent to the observer (me and my principals). The observer can then forward the PDF to the teacher. The teacher receives feedback almost instantly. The observer and the teacher both have a permanent electronic record of the observation notes. The observer has the record in email and in an auto-generated folder in Drive. Sheet Go: Sheet Go is also an add-on, this time for Google Sheets. If a coach, like myself, is not an expert at writing scripts(??) to make spreadsheets do magical data transferring things, then this add-on is the answer. Sheet Go allows the user to create connections that feed data from one spreadsheet to another without having to know the details of how computer language works. The free version allows for a limited number of connections. If you need more than that, the small cost of the upgrade is well worth it. Google isn’t the only option for using technology to streamline coaching. 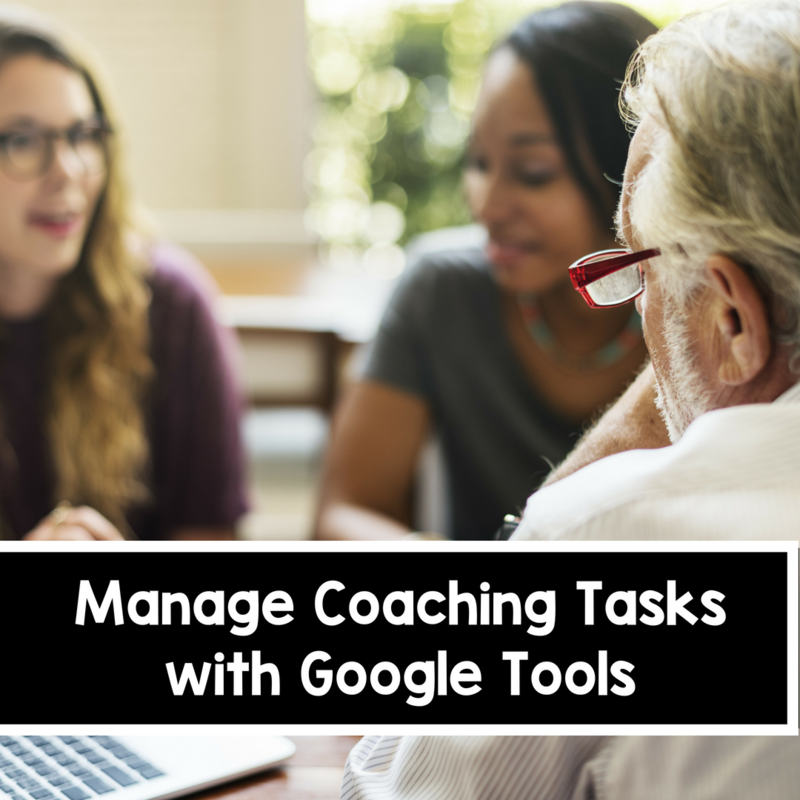 These suggestions show just a fragment of the options to manage coaching tasks using Google tools. No matter what tools you use, make sure they actively improve your workflow. 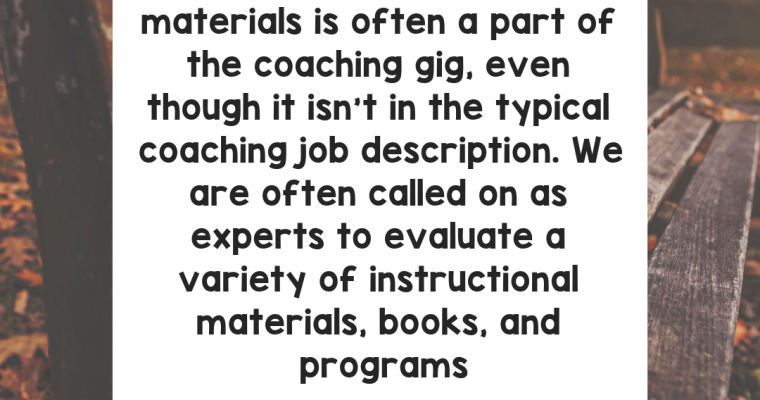 It can be a challenge to find time to coach in an instructional coach position. Managing coaching tasks effectively is an important part of the job.